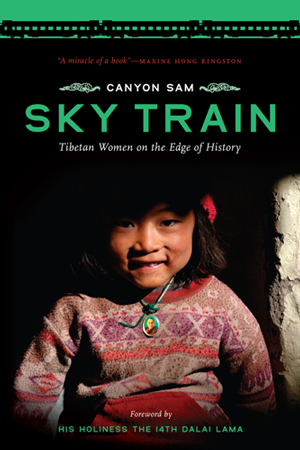 Writer and activist Canyon Sam uncovers the history of Tibet from the perspective of its women in a lyrical memoir that spans more than twenty years. Traveling on the newly opened, Beijing-to-Lhasa train in 2007 she crossed the Himalayas to find women from her earlier oral history project and stayed with the Tibetan family with whom she’d lived in 1986. 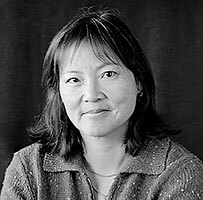 As she reveals the unexplored stories of women’s resistance, courage and spiritual resilience through fifty years of Chinese occupation, and gives a first hand account of the changes brought by the controversial new railroad — Sky Train — she comes to embrace her own capacity forfaith and acceptance.